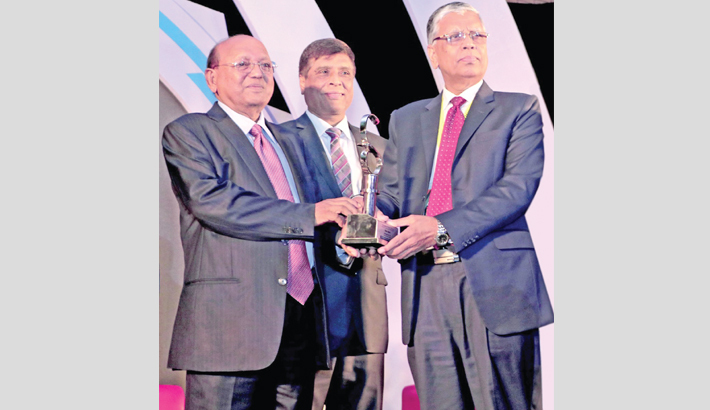 Southeast Bank Additional Managing Director Muhammad Shahjahan receives the ‘4th Institute of Chartered Secretaries of Bangladesh (ICSB) National Award for Corporate Governance Excellence 2016’ in banking companies category from Commerce Minister Tofail Ahmed at a function at the Bangabandhu International Conference Centre at Sher-e-Bangla Nagar in the capital recently. Former minister Dr Hasan Mahmud inaugurates the “Probashi Palli Mela” organised by Premier Bank at Shantirhat at Pomra Rangunia in Chittagong on Saturday. Premier Bank Adviser Muhammed Ali was present. Greek Prime Minister Alexis Tsipras (L) welcoming Chair of the eurogroup finance ministers, Jeroen Dijsselbloem for their meeting in Athens. Jeroen Dijsselbloem, who steps down as chair of the Eurogroup on Monday, rose from obscurity to become an unflappable dealmaker who helped guide Europe through the worst of the Greek debt crisis. A flight information board shows a list of flights, some still cancelled due to Mount Agung volcano, at Ngurah Rai International Airport in Denpasar on Indonesia's resort island of Bali on Sunday. The volcano's rumblings in the past week have pounded Bali's lucrative tourism industry and its wider economy, with expected losses amounting up to 665 million USD in visitor-related revenue if Mount Agung's activity doesn't die down before the end of the year. A fisherman hangs Bombay Duck (bombil) fish to dry in the sun at the Versova beach in Mumbai on Saturday. EXIM Bank Managing Director Dr Mohammed Haider Ali Miah receives the CAMELS Rated Best Bank Award 2017 from Chief Whip ASM Feroz at a function at CIRDAP auditorium in the capital on Saturday. This picture taken recently shows the French petrochemical giant Total refinery, the day of the inauguration of the platform modernisation project in Antwerp. After an investment of some 1.1 billion euros, Total inaugurated the upgraded integrated oil and gas processing site, one of the largest refining and petrochemicals complex in Europe. Pointers react to bids in the sale arena at the November horse breeding stock sale at Goffs, Ireland's premier public auction house, in Kill, County Kildare, west of Dublin, Ireland recently. Thoroughbred horse breeding is a rare instance where Ireland can claim to be among the world's best, but Brexit is giving the industry huge cause for concern. Uncertainty over the future arrangements for exporting horses to Britain, their main market, has sparked frustration and anger in a sector worth over 1.8 billion euros ($2.1 billion) to the economy, and which supports almost 30,000 jobs. Bank Asia Chairman A Rouf Chowdhury is seen at a blood donation programme organised by the bank at its Purana Paltan branch premises in the capital on Friday making the 18th founding anniversary of the bank. Janata Bank CEO and Managing Director Md Abdus Salam Azad places wreaths at the mazar of Bangabandhu Sheikh Mujibur Rahman at Tungipara on Friday. Officials of the bank were also present on the occasion. Modhumoti Bank Chairman Humayun Kabir is seen at the 31st meeting of the board of directors of the bank at its head office in the capital on Thursday.